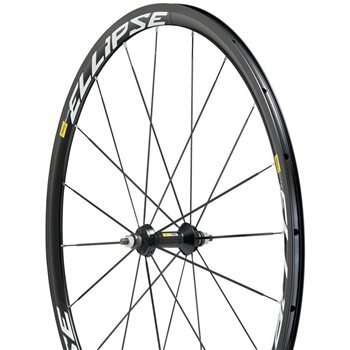 Benefiting from Mavic's latest advance in rim design, the Ellipse has a new lighter rim extrusion that makes it even more responsive. Developed in conjunction with the UCI World Cycling Center. Low spoke count - 20 front in radial pattern. The spokes are straight pull for greater durability. Delivered with - Multifonction adjustment wrench, Rim tape, Fixing nuts, Valve extender, Cog lock nut.